Inducing private forest owners to undertake any kind of forest management poses a challenge to policy makers. To gain a better understanding of the attitudes of forest owners, this study set out to describe, analyze, and interpret how forest owners engage (or fail to engage) in the management of their properties. A grounded theory approach Glaser and Strauss (The discovering of grounded theory, Aldine: Chicago, 1967); Charmaz (Constructing grounded theory. 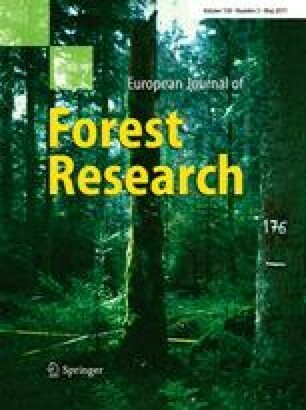 A practical guide through qualitative analysis, Sage publications, Ltd: London, 2006) was used to build an emergent theory through a descriptive and interpretational analysis of how forest owners get involved in forest management and the factors that influence their active decision-making process. The research was conducted in Catalonia. The main finding was that forest owners are more likely to engage in the management of their properties when they believe that through their actions they are fulfilling a moral norm, they are reducing the risk of forest fires, they have an archetypal image of what the forest should look like, and they can justify forest management as part of their economic strategy. These interdependent personal, social and cultural factors question the likely effectiveness of traditional economic policy tools. This is one in a series of articles dedicated to Prof. Dr. Dr. h.c. Gerhard Oesten on the occasion of his 60th birthday. The authors thank all the interviewees for their participation and the persons who facilitated the contacts. The Catalan Government of Catalonia partially supported the expenses of the field work.